"A solid casino, with a good welcome bonus"
For a casual casino player, BGO Casino is probably best known as an outlandish casino with their main spokesperson Verne ‘Mini-Me’ Troyer posing as ‘The Boss’. But, behind a flashy and loud platform lies a very serious contender with a lot to offer. Primarily focused on the UK market, BGO Casino has kept improving their offer over the years. This has helped them become a major player in the UK market. Read our BGO online casino review to learn everything you need to know about this unique and interesting online casino. BGO casino offers a no deposit 10 free spin registration bonus, plus a welcome bonus of 100% up to £200 in bonus money for all their new customers. This offer can be claimed with a minimum deposit of £10. The bonus is available only on selected BGO Casino slots, more precisely on one of the 30 games featured in this promotion. The BGO Casino Welcome Bonus is pretty good in comparison to other casino welcome bonuses and will especially be interesting for online slot players. It’s a rewarding offer and provides players with a real feel of what BGO Casino is mainly about. As good as the BGO Casino welcome bonus is, it’s not the only bonus new players can get when they sign up with this casino. As soon as they register and confirm their account by phone number, new casino members get 10 free spins, with absolutely no extra deposit required. Moreover, this bonus comes without any wagering requirements and can be used on Slots O'Gold, Fishin' Frenzy, Eye of Horus or Diamond Jackpots slot. Continue reading to find out the most important T&Cs and how to claim the BGO Casino Welcome Deposit Bonus. How Do I Claim the BGO Casino Welcome Bonus? Check if the bonus is automatically credited to your account and start playing! Once signed up, UK BGO Casino customers can enjoy several promotions. The promotions are usually active for just a couple of weeks. We won’t go into specific details about each of their current offers. But, going through the list of currently active promotions, as well as the archive, there’s a noticeable pattern when it comes to BGO Casino bonuses for regular customers. Most of their promotions are oriented towards slot games, offering free spins, prizes and tickets to players who wager on their featured slot games. They also have a long-standing promotion called ‘Exclusive New Release’. This showcases the latest slot games on their website, by offering a certain amount of free spins for their new titles. Besides all the casino slot promotions, BGO Casino also offers a large selection of Bingo promotions, as this game is very popular on their website. When it comes to online casino games, BGO Casino provides its members with a wide variety of options. Their game library consists out of nearly a thousand casino games, most of which are branded slot games from recognisable casino software providers such as NetEnt and Playtech. 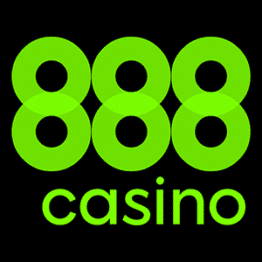 As of writing this BGO online casino review, there are 691 online slot games available on their website. There are 118 casino games, including numerous versions of roulette, blackjack and Hold’Em games. Additionally, there is a separate section showcasing their Bingo platform. Besides classic slot and casino games, BGO Casino also offers a large selection of progressive jackpot slots, more precisely 119 of them. Their progressive jackpot section includes titles like Aged of the Gods, Mega Fortune and Gladiator Jackpot. The VIP program at BGO Casino operates strictly on an invite-only basis, so only players who get an e-mail invitation are eligible to join this exclusive club. VIP benefits include special promotions and cashback bonuses, faster withdrawal times, personalised gifts and rewards and private invitations to exclusive slot tournaments. Additionally, as a part of their loyalty program, BGO rewards its users with special points or Diamonds every time they play a game for real money. When they earn enough Diamonds, players can spend them in the BGO Loyalty Store and buy free spins, entry tickets to special BGO tournaments or even exchange them for cash. Players can play all the BGO live casino games, both on their desktop computers and mobile devices. Players who prefer gambling in online live casinos will especially be pleased with the offer BGO Casino created for them. New customers who decide to start playing at BGO Live Casino can kick off their experience with a £200 welcome bonus using the code LIVE. Compared to other live casino bonuses, this is a deal worth keeping an eye on. With such a great live casino bonus and a quality offer of live casino games, BGO Casino has a very inviting live casino platform. BGO Casino offers a solid number of payment options to their customers, including but not limited to credit cards, prepaid cards, e-wallets and bank transfers. E-wallet options include Skrill, Neteller and the most popular payment method for UK casino players, PayPal. What’s interesting about BGO Casino is that there’s no minimum withdrawal limit, although the casino charges a £2.50 fee for all withdrawal requests. Withdrawal requests are processed by the casino within 24 hours. The entire withdrawal process may take from 3 to 5 days for bank transfers and credit card withdrawals. As an online casino accepting PayPal deposits, withdrawals are available instantly, as well as with other online wallets too. The minimum deposit at BGO Casino is £10 for all payment methods. Players should know there’s an additional tax offset fee of 2.5% of the deposit amount for any deposits under £500. The BGO online mobile casino is completely instant play and can be accessed from any mobile or tablet device powerful enough to run the casino through its browser. With that said, Android and iOS users also have the option of installing native casino apps. They can download the apps from the Play Store or Apple Store and enjoy a wider selection of games than they would on the mobile browser version. Although their mobile casino is impressive, there is something we would like to see BGO improve upon going into the future. Their mobile platform offers only a fifth of the games that are available on the desktop version of the casino. A big plus for BGO mobile is that the casino uses a single wallet system, meaning that all player funds are available on both desktop and mobile devices simultaneously, without players having to transfer money between the two platforms. This makes it much more convenient and enjoyable for players who like to play on both platforms. BGO Casino offers customer support 7 days a week, from 07:30 am to 01:00 am. Their support team can be reached by phone, e-mail or live chat during those hours. All three support channels, as well as their social media pages, can be accessed from any page of their website. Quick links are always located on the right side of the screen. Besides the support service, BGO Casino also has a medium-sized FAQ section. This covers almost everything there is to be known about the casino. While writing this BGO online casino review, we’ve contacted the BGO Casino support several times and they’ve always been very prompt and professional in their replies. Even though they don’t offer 24/7 customer support, the BGO Casino customer support staff provides a very reliable service. They are more than capable of providing help and assistance to all existing and potential casino members. BGO Casino has a safe and trustworthy reputation. The casino is owned and operated by BGO Entertainment Limited. They are licensed by the UK Gambling Commission and the Alderney Gambling Control Commission. Also, independent casino organisations, such as eCogra constantly monitor them. This ensures total compliance in promoting fair and safe online gambling. Just like all other top online casinos in the industry, BGO Casino understands the importance of providing their members with a safe and healthy gaming environment. That’s why they’ve created a set of Responsible Gaming tools players can use to stay in control of their play. It helps manage the time and money they spend on the BGO website. They are active supporters of the Remote Gambling Association (RGA) and the Remote Gambling Trust (RGT). Two charities that provide help and support to players in need. Their strong marketing campaign aside, BGO Casino offers a very well-defined and quality product. Almost everything on their website is on par with the best casinos in the business. Their payment section offers plenty of options and a very flexible policy, and their support team is very professional and helpful. The rich selection of branded slot games and live casino games, as well as a very lucrative casino and live casino bonuses, make playing at BGO Casino a very worthwhile experience. Overall, BGO Casino is a great option for both beginners and experienced casino players. The casino works perfectly on all platforms, offering immersive gambling that can only be compared to land-based casinos. We recommend you give BGO Casino a try, as we guarantee you to have a very entertaining time at this site. Is there a BGO Casino Welcome Bonus? All UK players registering for the first time with BGO Casino can take advantage of the casinos 100% deposit match bonus worth up to £200. This bonus is available on select slots and comes with a 40x wagering requirement. In addition to this, the casino also offers a 10 Free Spins No Deposit Bonus that comes without any wagering requirements. There is also a welcome bonus for live casino players. Are there any BGO Casino bonuses for regular customers? BGO Casino offers one of the best promotions schemes in the online gambling industry. They constantly have many promotions active on their website, including free spins and cash bonuses, exclusive game bonuses and special BGO tournaments. Moreover, BGO Casino also has a very rewarding VIP program for their most loyal customers. Does BGO Casino support PayPal? Yes, PayPal is available to UK BGO Casino members and they can use it for both deposits and withdrawals. There is no minimum withdrawal limit, while the minimum deposit for this payment method is £10. Players can use PayPal on BGO on both desktop and mobile devices, directly through their device’s browsers or native mobile apps.